We manufacturers sheet metal components as per drawing and specification. We are generally looking for foreign queries. Backed by vast industry experience, we are presenting a quality proven array of Brass Pressed Components to the clients that are widely used in automobile, telecom, and plastic industries. Offered products can be availed in various sizes and types; offered array is manufactured by well-qualified professionals using an optimum quality material to cater the varied requirements of our valued customers. Our organization is highly instrumental in offering a supreme quality collection of Brass Sheet Metal Components in the market. Finding their application in a number of industries like automobile, telecom, and plastic, the components are highly admired. Manufactured using ultra-modern machines, we offer these components in different specifications. In addition to this, offered ranges of these products are tested to ensure quality. 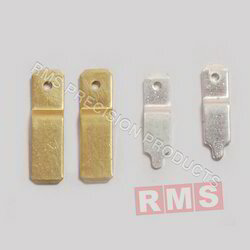 In accordance with advanced market developments, we are offering a wide assortment of Brass Pressed Parts. 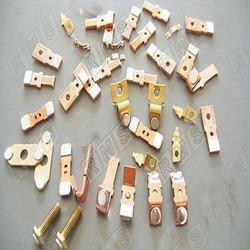 The offered parts are made available in numerous sizes to meet the varied requirements of the customers. Owing to their high corrosion resistance and optimum finish, these parts are widely demanded in the market. 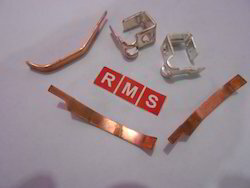 We make these parts available at competitive prices. Backed by a team of talented professionals, we are able to offer to our client's high-quality assortment of Copper Sheet Metal Parts. 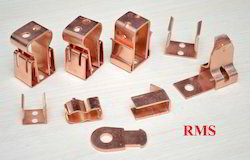 Manufactured using high-quality copper and modern instruments and owning to dimensional accuracy, durability and resistance to corrosion of the offered copper sheet metal parts are highly commendable. These parts are further provided to clients at the best price possible. Any kind of brass, Copper, Aluminum, Stainless Steel sheet cutting parts can be developed and supplied exactly as per customer specifications. Sheet Metal Parts & Pressed parts can be made as per custom design and specification. Any kind of Sheet Metal Components can be Developed and Supplied exactly As per Customer Drawings, Design, Specifications, and Samples & Requirement.